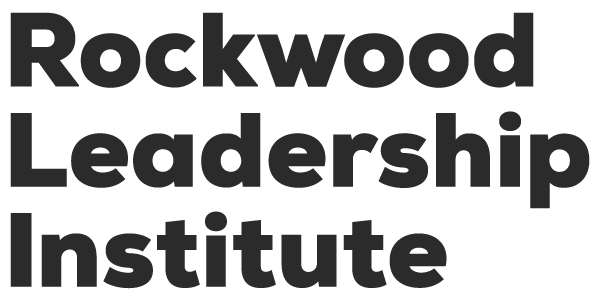 Rockwood Leadership Institute is pleased to announce the 2019 Lead Now: California cohort! With the support and partnership of the California Endowment, the Weingart Foundation, and the Angell Foundation, Lead Now: California was created in response to the urgent political moment facing our nation that is calling forth a new era of leadership, activism, and alignment among progressive leaders. Lead Now: California brings together 25 leaders from across California representing issue areas of immigrant rights, Muslim rights, criminal justice reform, LGBTQ rights, workers’ rights, agriculture, economic justice, arts & culture, health, and education. 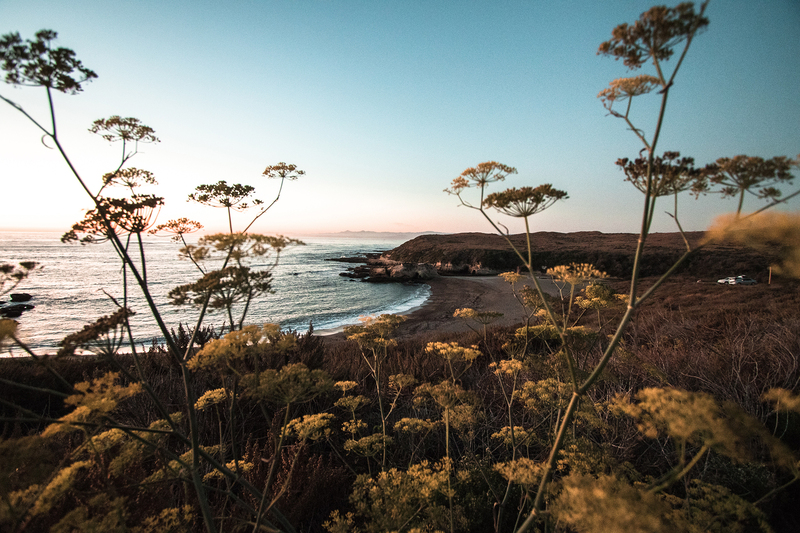 It is a bold, intersectional initiative to dramatically shift the sustainability, effectiveness, and connection of communities across the state. Join us in congratulating this wonderful cohort! 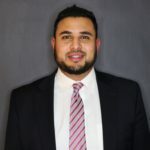 Hussam has been the executive director of the Los Angeles office of the Council on American-Islamic Relations, California (CAIR-CA), since 1998. CAIR is a leading American Muslim civil rights and advocacy organization. Hussam is passionate about human rights, civil rights, and democracy. He frequently lectures on Islam, media relations, civil rights, hate crimes and international affairs pertaining to American Muslims. He has consistently appeared in local, national and international media advocating and articulating the mainstream Muslim position on various issues. A proud moment of his is when he sued President Trump for his Muslim Ban. He is married, has 5 children, and recently became a grandpa. Julia is Program Director of the California Health in All Policies Task Force, which is a collaborative project between the California Strategic Growth Council, the Public Health Institute (PHI), and the California Department of Public Health. In this capacity, Julia facilitates a multi-agency process that brings together over twenty state agencies, departments, and offices to build collaborative partnerships to incorporate health, equity, and environmental sustainability considerations into decision-making and government operations across policy areas as diverse as transportation, land use, education, agriculture, and social services. Most recently, Julia and her team expanded their work to provide capacity building and institutional planning support to state government agencies to address institutional and structural racism. Throughout her life, Julia has held a variety of roles advancing social justice, including as a co-founder of Jewish Voice for Peace. 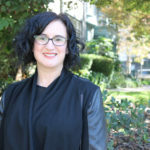 Julia holds masters’ degrees in public policy and public health from the University of California, Berkeley, and lives in Oakland with her wife and teenage daughter. Sarah leads a multicultural advocacy organization dedicated to improving the health of communities of color in California. Sarah has over a decade of experience advocating for access to culturally and linguistically appropriate health care, advancing women’s reproductive justice, and promoting immigrants’ rights. Since 2018, Sarah has served as an advisory board member of the California Health Interview Survey and the Department of Health Care Services’ Stakeholder Committee. Previously, Sarah worked with Latino Issues Forum and the Mexican American Legal Defense and Educational Fund. Sarah earned her Juris Doctor from Santa Clara University School of Law and her Bachelor of Arts from the University of California, Berkeley in ethnic studies and public policy. Jesse (Tohono O’odham/Chicano) was born in Los Angeles and raised in East Oakland. He became the statewide census coordinator with the California Native Vote Project in 2018. He enjoys spending time with family, traveling, and serving Native/Indigenous communities. Andrea is an enrolled member of the Mandan, Hidatsa, and Arikara Nation, and she identifies as Mexican American. She is trained in general and preventive medicine, and recently completed a fellowship in research and policy. She has the privilege of focusing exclusively on the health and wellbeing of the Native American community through clinical work, through larger community initiatives, and through research. Andrea serves as a Mayoral Appointee for the Los Angeles City/County Native American Indian Commission, and sits on the Board for the United American Indian Involvement. She is also honored to serve on the national boards of We Are Healers and Building the Next Generation of Academic Physicians, which focus on building the workforce of Native American and other diverse health professionals. She earned her MD from UCSF, and MS from UC Berkeley. She is a proud wife, daughter, sister, aunt, and nina! Ashlee leads the implementation of pre-charge restorative justice diversion programs across the nation. She is a thought leader in restorative justice pedagogy and practices and lent her expertise to pilot one of the first school-based restorative justice programs in Oakland, CA, as well as one of the first survivor-oriented restorative justice diversion programs outside of California. As an Oakland native, her hometown’s culture and legacy of social justice instilled in Ashlee a deep commitment to justice with an emphasis on healing. Before joining Impact Justice, she spent 13 years facilitating restorative justice dialogues between youth who caused harm and the people impacted to create spaces of transformation and healing through accountability. Shanthi is an elected school board director and a freelance leadership coach. She is currently co-leading the Progressive Education Leaders Network, a new initiative to train and support newly-elected School Board members in Alameda and Contra Costa Counties. This Spring, she will join the League of Conservation Voters as their candidate recruitment and training manager. 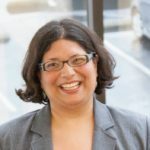 Maricela’s resume includes over 20 years of experience in non-profit management and grassroots community organizing, working primarily with low income and immigrant communities. 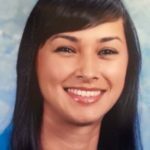 She previously worked as a department director of a Federally Qualified Community Health Center in the East Bay, advocating for accessible healthcare and resources for low-income children and families. 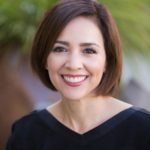 Maricela has a Bachelor of Arts from the University of California, Berkeley, is a Shannon Leadership Program Fellow and Blue Shield Foundation Clinic Leadership Executive Management graduate. She has extensive training in grassroots organizing and racial equity strategies for engaging disenfranchised communities. 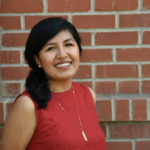 She is a founding member of an Unaccompanied Immigrant Youth and Families Collaborative and the Soñadores Invencibles Program that work to develop safety net systems for children and families seeking asylum. 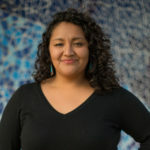 She has served as the Chair of the statewide Chicano Latino Youth Leadership Project and is the founder of an intergenerational traditional Aztec Dance Program, Grupo Cemanahuac. Javier is an immigrant and queer leader fighting for immigrant rights in the Inland Empire. Javier believes that justice for immigrant communities includes addressing all the intersections that are crucial to the undocumented identity such as health, poverty, criminalization, and other disparities that keep the undocumented marginalized. He has advocated and taken direct action against anti-immigrant policies and deportations throughout the country and has co-founded several grassroots groups. 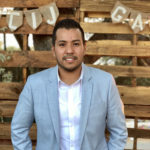 Since 2015, Javier has been the Director of the Inland Coalition for Immigrant Justice (ICIJ), a coalition of over 40 organizations, unions, legal service providers, congregations, etc. that convene to collectively advocate for immigrant justice in the Inland Empire. 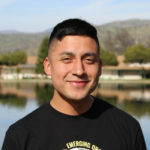 Javier believes that through collective organizing and community power, the IE will be a region where justice abounds and the contributions of immigrants are acknowledged and respected. Suguey is the granddaughter of Mexican indigenous farmers and daughter of California migrant farm workers. She joined Power California with nearly a decade of civic engagement and labor organizing experience. As the chief political strategist she leads Power California’s field strategy and civic engagement campaigns to mobilize young voters of color. In 2018, during the historic midterm election, Power California and partners reached nearly 175,000 voters of color under her leadership. On her free time, she practices radical self-love by engaging in dance and pole. “I find my freedom in an embodied praxis of self-love through dance. Pole gives me the pleasure and possibility to just BE in a society hellbent on hating me for being brown, femme/female, Mexican and queer.” Suguey holds a bachelor’s degree from the University of California at Berkeley. She is an active practitioner of Indigenous spirituality. 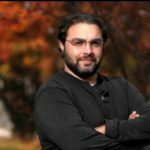 Alan is a refugee Jew from the former Soviet Union, and a long-time outreach and communications specialist, with a focus on building coalitions and developing effective voter and public engagement programs. He is the Director of Engage San Diego, a collaborative network of social-justice focused, non-profit groups working to increase civic and voter engagement in historically and systemically excluded communities of San Diego County. Alan comes to San Diego after 15 years helping to create voter outreach and communications programs for groups working on social justice issues in New York City, Colorado, and nationwide. Most recently he was the Media Director for @NoBanJFK. Before that, he was the Director of Political Engagement at the New York Immigration Coalition, leading voter engagement, special projects, and NYC advocacy for the largest immigrant advocacy coalition in the US. He also served as the first Director Communications for the Colorado Immigrant Rights Coalition. Ben is a native of San Francisco and a longtime activist for peace and justice in the Bay Area. During this tenure, he served as executive director of a large non-profit providing rescue, recovery, medical, financial and educational opportunities to hurting and homeless people in Oakland for 7 years. In 2012, Ben was an instrumental component of relaunching Oakland’s first successful iteration of Operation Ceasefire. This strategy has contributed heavily to a near 40% reduction in homicides over the last five years. Ben founded Empower Initiative in 2014 to provide technical assistance around transforming public safety through bridge-building. Over the last 3 years, he trained over 100 departments and law enforcement executives, while in partnership with California’s Department of Justice. He joined PICO California in 2015, the state’s largest community organizing network. Ben is deeply committed to widening the circle of human concern leading to a more vibrant, inclusive society. He & his wife Gynelle have been married for 19 years and have 3 daughters. Tamara is a seasoned strategist committed to equity and better education, health and economic opportunity for communities of color. 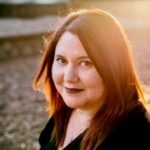 As principal of The WIT Group, a social change firm, she is a field builder who lends her expertise to grantmakers, non-profit organizations and public systems to strengthen capacities for meaningful partnerships, asset-based, high-leverage strategies and equitable resources for the good of our communities. Outside of work, Tamara enjoys traveling with her friends and honoring her new role as the proud auntie of Ryder Janae, the brightest light in the universe and future leader of the free world. Mitzie is an undocumented immigrant rights advocate from Southern California. 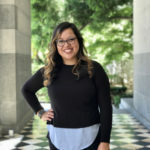 Mitzie began organizing with the Inland Empire Immigrant Youth Collective (IEIYC) where she served as development coordinator for over 7 years. Mitzie has supported campaigns in health justice, prison/detention abolition and arts & culture. She is currently working at the California Immigrant Youth Justice Alliance (CIYJA) as their operations coordinator. Mitzie hopes to continue supporting efforts that are crucial to the immigrant identity and work in solidarity with LGBTQIA*, Black and other communities that are most marginalized. Shanti’s commitment to food and social justice is rooted in her maternal family’s history as farmworkers in California, her lived experience growing up on federal nutrition and welfare programs, memories of her grandparents’ lush backyard garden, and the delicious mix of Mexican American and Indian food that she was fortunate to enjoy during her childhood. 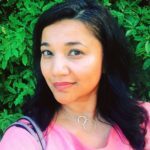 As senior policy advocate at Alameda County Community Food Bank, she works with state and national advocacy coalitions in the fight to end poverty through economic justice and racial equity, and by creating a lasting and meaningful culture of civic engagement. Previously, Shanti has been a cheesemonger, a teacher, a community organizer, and a New York City theater actor. She holds a bachelor’s degree from U.C. Berkeley and an MA in food systems from New York University. Maria focuses on statewide policies impacting immigrants’ rights. Prior to joining the ACLU, Maria was a staff attorney at the Brooklyn Defender Services through the New York Immigrant Family Unity Project, where she represented detained noncitizens in their removal proceedings and at Make the Road New York. Maria earned her JD from the New York University School of Law and her BA in both history and political science from the University of California, Los Angeles. She was born in Cusco, Peru, and grew up in Fresno. 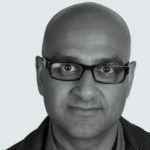 Anand leads PolicyLink’s efforts to advance police accountability and alternatives, co-directs PolicyLink Legal, and oversees work on fines and fees and arts, culture, and equitable development. 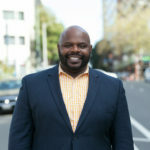 He served as the executive director of the San Francisco Blue Ribbon Panel on Transparency, Accountability, and Fairness in Law Enforcement and formerly led strategic communications for PolicyLink’s work in California, including the Alliance for Boys and Men of Color. Prior to joining PolicyLink, Anand worked at the Insight Center for Community Economic Development, the Law School Consortium Project, and as an associate attorney at Sheppard, Mullin, Richter, and Hampton after earning his JD from Northwestern University School of Law. He sits on the board of directors of the national advocacy organization, South Asian Americans Leading Together (SAALT), and sings and plays guitar in the band Fair and Kind. Adel serves as lead of UMMA Community Clinic in South Los Angeles. He has the primary professional responsible for directing and facilitating UMMA’s external affairs and a wide range of critical relationships to promote the well-being of the underserved by providing access to high-quality healthcare for all, regardless of ability to pay. UMMA envisions itself as part of a larger network of institutions addressing the health and well-being of the underserved and indigent, mindful of the cultural, spiritual, social and economic realities that impinge upon them and the traditional barriers to accessing care. 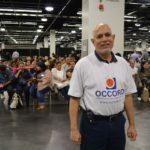 Shakeel leads OCCORD, a community-labor alliance whose mission is to bring workers, families and community partners together to organize and advocate for good jobs, strong neighborhoods and an inclusive democracy in Orange County. Prior to joining OCCORD, he served as the founding Executive Director of the Islamic Shura Council, a federation of Mosques & Muslim organizations of southern California from 2005 until 2016. He also serves the boards of the ACLU of Southern California, Death Penalty Focus, Clergy & Laity for Economic Justice, and American Muslims for Palestine. Syed loves to travel, books & cooking. Passionate, tenacious, and an accomplished civil rights lawyer, Sylvia has spent a lifetime committed to racial, social, and economic justice. She has advocated, protected, and zealously represented thousands of clients as a deputy federal public defender in the Central District of California, in Los Angeles, as well as California’s farmworkers as the General Counsel and chief prosecutor of the Agricultural Labor Relations Board, and California’s students as the ACLU’s Statewide Director of Education Equity. As a Latina from Boyle Heights, grateful for the exceptional educational opportunities she received at Harvard and the University of California, Berkeley School of Law, Sylvia is committed to working on behalf of our communities of color and vulnerable communities. Sylvia is the proud mother of two beautiful, biracial, bicultural girls aged 13 and 12, Chloe and Gabby. 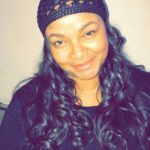 Pastor Trena is passionate about faith-based and grassroots community organizing and has extensive experience in leadership and organizational development. She was instrumental in merging five nonprofit organizing entities to form Faith in the Valley, and has served as the Executive Director for the past two years. She previously served on the board of Faith in the Valley’s San Joaquin County chapter. Pastor Trena was ordained as an elder in 2007 and has served as Executive Pastor for the Victory In Praise Church. Previously, Pastor Trena enjoyed a successful 25-year career with ATT Communications, in various management roles. Married for 40 years, Pastor Trena has two adult children and six grandchildren. Neva is a long-time community organizer and the first African American woman elected to the Minnesota Legislature in the state’s history. She relocated from Minneapolis to the Bay Area in 2009 and has been the executive director of Coleman Advocates for Children and Youth in San Francisco since 2011. Her work at Coleman focuses on deepening the leadership of parents, youth, and children while primarily focusing on education justice and civic engagement strategies. Neva strives to create systematic change in policy, budgeting, and structures by empowering the people most impacted to advocate for themselves by utilizing a racial equity lens. She is also the executive director of Coleman Advocates’ sister 501(c)(4) organization, Coleman Action Fund, which endorses candidates and educates on ballot initiatives. Iliana leads MECCA, which is a collective impact organization that works to eliminate racial and ethnic disparities in order to improve the health, wellbeing, and quality of life of underserved ethnic communities in Orange County. Iliana has worked in the areas of inter-ethnic relations, intercultural communication and diversity for over 20 years and has been a consultant to schools, cities, hospitals, universities, nonprofits, and police departments. Her passion is building the capacity of community leaders and groups to have a voice and create meaningful policy and systems changes. Currently, she is working to improve the access, quality, and equity of mental health services through collaborative efforts at a local, county and state level. She has expertise in place-based initiatives, community building, community assessments, and strategic planning. Iliana enjoys creative writing, adventures with her two daughters and likes to spend time outdoors hiking, off-roading and camping. Hope is a wholehearted leadership and strategy coach, trainer, facilitator, and co-conspirator who recently launched Hope Action Change Consulting, a firm that supports social and racial justice change leaders in creating sustainable organizations more in alignment with our values and purpose. As a mentee of Marshall Ganz and a UCLA Teacher Education Program alumni, she has devoted the last 18 years of her life to organizing across California and the United States – building inclusive classrooms, programs, campaigns and organizations that increased participation in our communities and democracy. Most recently, Hope served as deputy managing director of Campaigns at Color Of Change and Deputy Director of Color Of Change PAC from 2015-2018 where she helped build and support a powerful digital campaigning team, as well as co-developed the organizing program. Hope lives and loves in Oakland with her beautiful wife, Peggy, and their old man in a dogsuit named JP.